﻿﻿What is our name? Ghadar(Revolution). What is our work? Ghadar. Where will be the revolution? In India…within a few years – thus started the first issue of The Ghadar, published from San Francisco on 1 November, 1913. 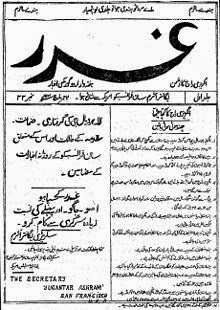 With the publication of this weekly magazine in Urdu and Punjabi began the Ghadar movement. In its famous masthead it carried the caption – Angrezi Raj ka Dushman. And in their ever so dramatic style, always carried an appeal – wanted brave soldiers…to stir up rebellion in India. Pay – death, price – martyrdom, pension – liberty…. By 1914, 15000 Indians – mostly Sikhs – were living in British Columbia (Canada) and US Pacific Coast. Faced with legal hassles and racial abuse, they started organizing themselves. They were joined by two groups of Indian students – one from Portland, Oregon led by Pandurang Khankhoje and Taraknath Das and another group of Indian students from UC Berkley (Kartar Singh Sarabha, V G Pingle). Together they founded the Pacific Coast Hindustan Association, which became Ghadar Party, with Sohan Singh Bhakna as President and Lala Hardyal as the main driving force. The turning point came with the First World War and the Komagata Maru incident in 1914. Canada by then had effectively shut new Indian immigrants out. When a group of 400 Sikhs travelling in a ship called Komagata Maru tried to reach Vancouver, there was a long stand-off. Finally the ship was escorted back to India and in November 1914, when it reached Budge Budge near Calcutta, there was a riot between the immigrants and British police, resulting in 22 deaths. With the onset of the War, thousands of Ghadarites started coming back to India, mostly via China, Japan and South East Asia, where they established contacts with Sikh soldiers posted there. War forced the government to remove most of the white soldiers from the subcontinent and the Ghadarites wanted to take advantage of the situation with a joint civil-military uprising. Pingle and Sarabha along with Satyen Bhushan Sen (who was known to Jatin Mukherjee) came to meet Jatin and Rash Behari Bose. Rash Behari was initially skeptical, so he sent his trusted aide Sachin Sanyal along with Pingle to Punjab. Sanyal came back and confirmed that a huge number was waiting for a revolt in Punjab. Things moved very quickly from thereon. Sarabha and others organized revolts in army units in Ferozepur, Lahore and Rawalpindi; Sachin Sanyal in Benaras and Danapore and Jugantar revolutionaries in Bengal. Meanwhile, Jugantar group, led by Jatin Mukherjee, popularly Bagha Jatin (Tiger Jatin), achieved a great success in August 1914 by stealing a huge cache of arms and ammunition from Rodda company godowns in Calcutta. It was decided to launch a coordinated rebellion across cantonments on 21 February, 1915. The date was brought forward to 15th February but the treachery of one Kirpal Singh alerted the police, leading to arrest of most of the leaders though Rash Behari managed to escape. However Punjabi soldiers rose in Singapore led by Jamadar Chisti Khan, Jamadar Abdul Ghani and Subedar Dawood Khan – British forces finally managed to quell it after putting to death at least 37 soldiers. In Bengal, Bagha Jatin with his comrades were waiting near Orissa coast for German arms to arrive, when British Police tracked him down. Jatin with his four comrades fought with a large police force till their ammunition ran out. Student leaders of the Ghadar Party were responsible for forging important links with Indian revolutionaries in Europe. During the war years Berlin became the main centre for sending arms to India. With the active support of the German Foreign office, under the Zimmerman Plan, leaders like Birendranath Chattopadhyay, Bhupendranath Dutta and Lala Hardyal set up Indian Independence Committee. Through Turkey, Raja Mahendra Pratap, Obaidullah Sindhi and Maulvi Barkatullah went to set up an Interim Government of India in Kabul. 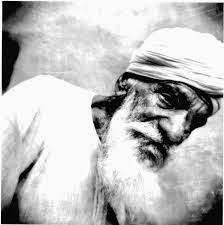 Ghadar leaders like Ramchandra, who were still in the USA, were also trying to send money and arms to India. After 1915, Rash Behari and Abani Mukhopadhyay tried the South East Asian routes for the same purpose. But after the debacle of 1915, there was hardly any organization left in India to facilitate large-scale armed uprising. When the USA decided to enter the War, Hindu-German conspiracy case led to the end of Ghadar activism in the States. Though it failed but their greatest legacy was definitely rekindling the spirit of nationalism. Till then, this was the largest armed uprising since 1857. In Punjab in 1914-15 for the first and only time, revolutionary terrorism achieved something of a mass base. The government was scared as the revolutionaries tried to incite the armed forces, much like 1857. Nearly 50 freedom fighters were executed by the British and a large number were deported to Andaman, where they were made to suffer inhuman torture for years. It was Sachin Sanyal – detained in Andaman - whose moving autobiography Bandi Jibon (Life in Captivity), inspired next generation of revolutionaries most. Among those, who went to gallows uncelebrated was one Abdulla, only Muslim among a group of soldiers executed in Ambala. Rejecting the government’s offer to turn approver against his non-Muslim colleagues, he retorted that only the company of “these kafirs” would open the door of heaven for him. Two of the brightest stars – V G Pingle and Kartar Singh Sarabha were sent to gallows. 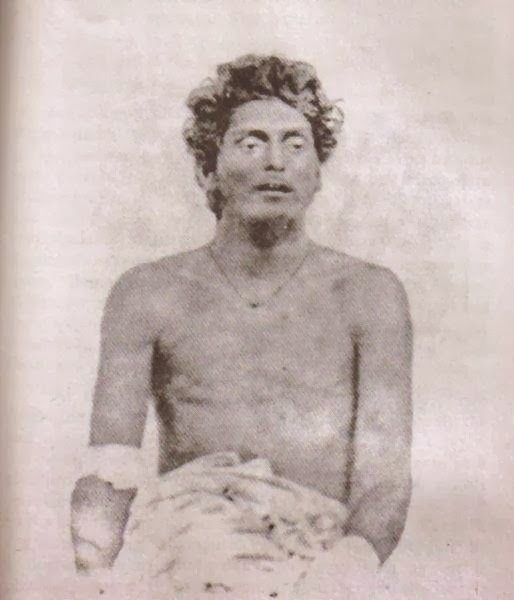 Sarabha, hanged when he was just 19, famously told the judge that he would prefer death over life sentence so that he could be born again - …as long as India does not become free, I would be born again and again and would be hanged for my country. 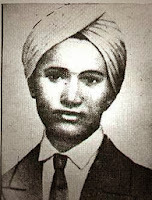 Bhagat Singh was deeply inspired by Sarabha. Compared to Congress leaders or even to Bengali revolutionaries, Ghadar martyrs are today largely forgotten. One hundred years later, it is perhaps time to salute their pioneering spirit of selfless nationalism. P. S. Most of the surviving Ghadar and revolutionary terrorism leaders turned to communism. In 1912, Lala Hardyal wrote an essay on Marx in Calcutta’s Modern Review – this is the earliest piece of writing in India on Marxism. Jugantar leader Narendranath Bhattacharya, who went to Java in search of weapons, changed his name to M N Roy and went on to become one of the founders of Communist Party of Mexico. 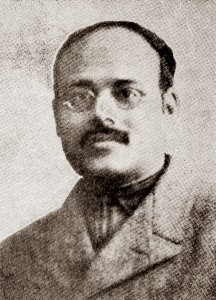 Birendranath Chattopadhyay, Chatto (elder brother of Sarojini Naidu) joined the German Communist Party and was eventually executed by Stalin in the 1930s. Other early converts to communism included Bhupendranath Dutta (younger brother of Swami Vivekananda), Pandurang Khankhoje (also went to Mexico, where eventually, he became a pioneer of Mexican agricultural revolution), Abani Mukhopadhyay and Sohan Singh Bhakna, later a pillar of the Kishan Sabha movement in India. Lala Hardyal (taught Indian philosophy in Europe and USA) and Taraknath Das (taught Political Science in Columbia) went back to academics. Sachin Sanyal, sent to Cellular Jail twice died of TB in Gorakhpur Jail. Rashbehari Bose, who fled to Japan and worked for India’s independence from there, prepared the ground for Subhas Bose’s INA. Bose, married to a Japanese lady, ran a restaurant along with his family and was also responsible for introduction of Indian cuisine in Japan. Informative Blog !! Thanks For Sharing with us . Here you can find huge Variety of DesignerGenuine Leather Handbags at affordable Price.